A mandatory part of buying and selling a home is conveyancing – the legal process involving the transfer of property ownership titles from one person to another. 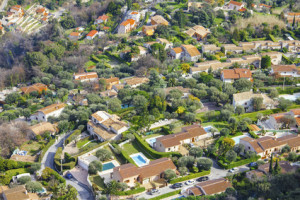 Under french law, this will be done either by a notary for a properties transferred directly from individual to individual, or by an attorney for properties owned by companies like SCIs (“sociétés civiles immobilières”). French notaries are public officials appointed by the Ministry of Justice and are not lawyers. They may not plead in court and often perform their real estate transactions on behalf of all parties (seller, buyer, lender …), which all have opposite interests, therefrom raising grounds for litigation. This is why it is highly advisable for purchasers, and even for sellers, to appoint a bilingual solicitor like Maître Benjamin A. KERGUENO, LLM, in order to fully inform and counsel on the various aspects of a real estate transaction. – For the purchase of an existing property up to 350.000 €, a fixed fee of 1.700 € HT (2.040 € TTC) will be applied. – For the purchase of a new off-plan property up to 350.000 €, a fixed fee of 2.000 € HT (2.400 € TTC) will be applied. – For the sale of a property, a fixed fee of 1.700 € HT (2.040 € TTC) will be applied. – For the transfer of an SCI’s shares, a fixed fee of 3 % of the selling price will be applied. – For the incorporation of an SCI, a fixed fee of 1.250 € HT (1.500 € TTC) will be applied.